HONG KONG (CNS) — When Chinese Minister of Housing Chen Zhenggao traveled to bustling Yiwu in mid-October, news reports said he told housing and law enforcement officials to “battle against illegal constructions” by learning from Zhejiang. Zhejiang has used the pretext of illegal building to bulldoze churches and remove their crosses. By Christmas 2014, reports said 500 churches had been targeted in the province. By this past Christmas, the number had exploded to more than 1,500, reported ucanews.com. After claiming 2014 to be the worst year for religious persecution in China since the Cultural Revolution, observers in and outside the country say this year saw the situation deteriorate further. Relations between China’s faithful and the Communist Party have not been this strained since the days of Chairman Mao. As the cross-removal campaign reached a crescendo midyear, ordinary Christians and priests took to social media to announce a campaign making minicrosses, and bishops took the rare step of publicly denouncing authorities. 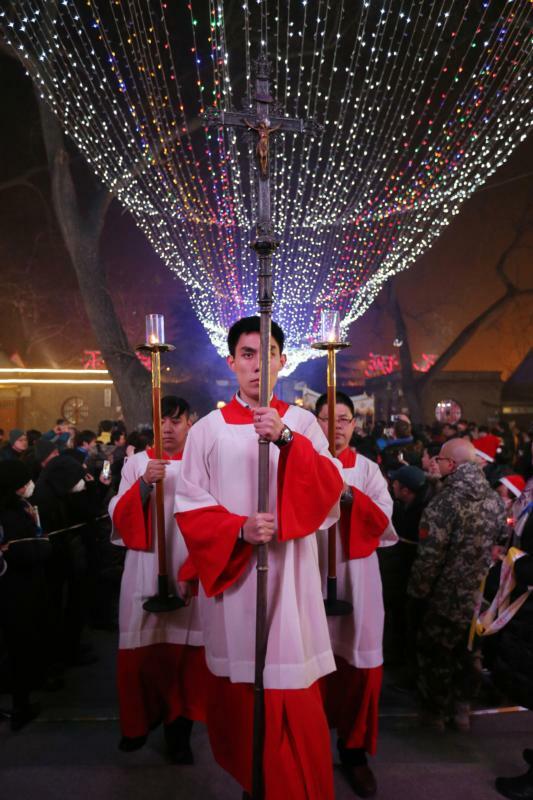 Ucanews.com reported that some estimates put the number of Christians in China at more than 100 million, and the Communist Party is attempting to co-opt Christianity to its own political ends. But it remains unclear whether its policy comes from the very center of the party, and therefore whether it will endure, said Fenggang Yang, director of the Center on Religion and Chinese Society at Purdue University in West Lafayette, Indiana. For China’s diverse religious communities, the future remains less certain than it has been for many years. International rights groups acknowledged China needs to tackle a surge in violence in the west of the country, but also warned repeatedly that the draft risks enshrining a vague catch-all to help Beijing target opponents, real and imagined. In July, police in a Tibetan region of Sichuan province opened fire on protesters demanding the return of the body of spiritual leader Tenzin Delek Rinpoche, who died after nearly 13 years in prison. His conviction and 20-year sentence for a series of bombings in Chengdu in 2002 remains disputed by most Tibetans. Although his represents the most high-profile case this year, overall more Tibetan monks and nuns were confirmed detained — 31 in 2015 compared to 21 the previous year, according to a tally by London-based Free Tibet. As Tibet’s spiritual leader, the Dalai Lama, turned 80 in July, Beijing seemed to turn up criticism denouncing his “Middle Way” approach of greater Tibetan autonomy. Then, two weeks after his birthday, a Tibetan delegation returned from Beijing saying more dialogue would soon follow. It had been five years since the previous official talks.